1/ Notifications: for me the Watch is a Notifications device. When it buzzes I know I can turn my wrist and see what's happening. I know who has emailed or texted even if I don't have time to read the full message. This way I know if I need to act on something (problem with the kids' pickups etc) or if I can deal with it later. Just knowing what and who is so helpful, especially when I am teaching for a few hours and don't have time to take a call or compose a full reply. 2/ Rapid responses: the point above leads on to the responses. I love the ability to fire back a quick reply, such as "on my way" or "will call later". This can be done with the turn of the wrist, tap to reply and then selecting from the pre-set responses. Simple, quick and relatively non-intrusive when you are working with other people (certainly compared to unlocking the phone and typing in front of them!!). 3/ Comfort: I forget I am wearing the Watch. The standard rubber sports strap is so comfortable that I forget it is on my wrist, something which did not happen in the past with conventional watches. I always disliked leather straps and gave up wearing a watch a fews years ago before the Apple Watch came out. The only time I notice the Watch on my wrist is when I start to do a job in the garden or lifting boxes- then it gets in the way and I take it off. The Apple Watch is not the thinnest watch out there and can get knocked. In fact I cracked the edge of the screen in the first month, but thankfully the Watch has held together and it has not been an issue. 4/ Activity: ok I do tend to ignore a lot of the "stand" and exercise notifications from the Watch these days, but I do like to look back at how many kilometres I have completed or the number of steps I have (or haven't) taken in any given day. It does make me conscious of the need to exercise and that's not a bad thing! 5/ Calls: being able to see a call on your wrist when your iPhone is zipped up in the coat pocket somewhere else in the house is cool- and the ability to take that quick call or reply with a text is amazing. 6/ Maps: once you set your route on your iPhone and start your journey, the Watch vibrates on your wrist to tell you to go left or right. This is amazing when driving and keeps my eyes on the road instead of glancing at the iPhone screen. I don't like the audio from Apple Maps and it does not work great in my car as I listen to the radio channel (I need to listen to the AUX channel to hear the Siri and Maps notices). But the wrist vibrations lead me along perfectly! 7/ Photos: I have my family photos on the Watch face and each time I look it shows me a new photo. Plus with Live Photos taken on my iPhone 6s, if i lightly tap a photo it moves. It is simply a nice touch. 8/ Battery Life: each night I charge the Watch on my bedside table. Battery life is never an issue- I have forgotten about the Watch battery as it never runs out nor does it even come close to running out. 1/ Apps: ho-hum. I really don't use them. Yeah I can see my bank balance or tweet or read a news story. But I would instinctively rather do this on the iPhone or iPad. About the only app I use regularly is Apple's Remote app for my Apple TVs. The ability to control the TV from my wrist is great. But the rest of the apps... Not so sure. 2/ Apple Pay: I would use this. But I can't. I do hope that this comes to Ireland soon as I can see myself using this all of the time instead of fumbling for credit cards from my wallet. 3/ Friends Button: I never use this. It is supposed to be a way to call up a group of frequently used contacts by pressing the button on the side and then selecting the person from your "circle". I never use it. Instead I go straight to the Messages app or into the Phone app. So for me this is a bit of a waste of a button on the side. 4/ Speed: at times this is awful, and possibly one of the reasons I don't use the apps. They can be excruciatingly slow to load and I tend to press the home button to quit out long before it eventually gets there! This is the poorest part of the Watch design. 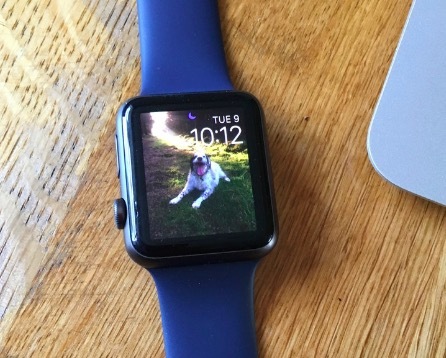 Also, when I receive an email with a photo in it, it is painful to scroll through as the Watch has problems handling the image. Definitely room for improvement here Apple when your get to Watch 2.0 (software and hardware!). Overall though I love my Watch and will be using it for the foreseeable future. It has become part of my routine and I would miss it a lot if I had to give it up.